Entering his 6th season as Head Coach of the ISS Kings, son of hockey hall of famer Mark Howe, grandson to the great Gordie Howe, Nolan grew up playing his youth hockey in the Detroit area. After spending his life learning from the amazing hockey minds around him, Nolan began his own coaching career in Michigan in 2007, coaching the Division 1 High School Hockey Team Lake Orion Dragons to its first ever regional championship appearance, while also starting his own company, Know Howe Hockey, running hockey camps throughout the metro Detroit area. 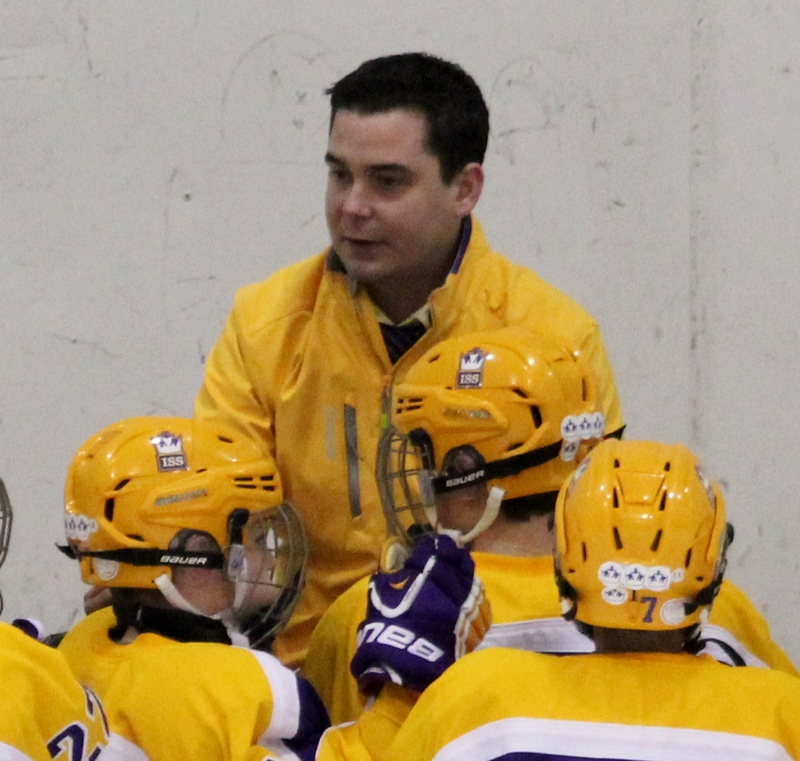 During the past 4 years, Nolan has also been coaching, scouting and recruiting for the prestigious Selects Sports Management, a top spring hockey program in North America, in birth years ranging from the 95’ through 01’s. He is also an instructor each summer at their elite hockey camp, held in Buffalo NY, as well as an instructor at several of their branch camps throughout the year around the country. As a certified USA hockey coach and IYCA personal trainer, Nolan continues to work with all age levels while being a lead instructor at Evolving Athletes School of Hockey. Nolan’s full time commitment September 1- March 31st is to the ISS Kings. Currently Vince Williams is a Professional NHL Scout. Prior to that position Williams was named the second head coach in Orlando Solar Bears history on June 19, 2013. He joined the Solar Bears after spending the previous two seasons as head coach of the Trenton Titans. Prior to being named head coach in Trenton, he spent the previous five seasons as an assistant coach with the Trenton Devils. Williams played eight seasons and 461 games in the ECHL and was recalled in 2000-01 from Trenton to Orlando (IHL) where he was a member of the Solar Bears Turner Cup Championship team. Williams was also a member of the 2004-05 Kelly Cup Championship team in Trenton where he played for Mike Haviland (Head Coach, Hershey Bears). He served as captain for Trenton during the 2003-04 and 2005-06 seasons and was inducted into the team’s Hall of Fame. After retiring in 2006, Williams began his coaching career in Trenton serving five seasons as an assistant for the Trenton Devils and two seasons as head coach of the Titans. As an assistant coach, he studied under the guidance of Rick Kowalsky (Head Coach, Albany Devils) and Kevin Dean (Assistant Coach, Providence Bruins). In 2011-12, 18 of his players went on to play in the AHL and in 2012-13, 23 players moved on to the AHL and two players graduated to the NHL (Jason Akeson and Matt Konan). That year, Williams’ team finished the season winning 12 of their last 18 games. In two seasons in Orlando he had back to back playoff appearances and was a finalist for coach of the year in 2014. He set a franchise record of 11 straight wins in the 2013-14 season and was a finalist for coach of the year. In 2015 he was named Head Coach for the ECHL All-Star Classic hosted by Orlando. Between 2013-15 he had over 50 players move on to the AHL, 2 of which played their first NHL games. Williams has be very influential in developing many prospects through the New Jersey Devils, Philadelphia Flyers and Toronto Maple Leafs hockey organization over the last 9 seasons. Chris is entering his 2nd season with the ISS Kings. Chris Co-Coaches at Gill St. Bernard’s High School in Peapack-Gladstone, NJ. He played High School hockey for the Randolph Rams where he won a State Championship in 2006. He then went on to play for Monmouth University where he won a DVCHL Championship in 2009. John Larnerd is the Owner/Director of Fusion Goalie Development. John was the Goalie School Director/Hockey Director of the Vineland Ice Arena for four years. He has been coaching goalies Youth and Adults for 16 years. John was the Emergency Back-Up Goaltender for the Atlantic City Boardwalk Bullies, ECHL from 2003-05. John attended College at SUNY Cortland, NY, which plays in the SUNYAC, NCAA, DIV III Conference. He had a successful four year career as starting goaltender; he holds 3 SUNY Cortland records; Most Saves in a Season, Lowest Goals Against Average in a Season, and Most Saves in a Career. His studies focused on Sports Management.